Tea tree oil is a must have at my house, it gets used for something nearly every day. Tea tree oil has a broad spectrum of antimicrobial and antifungal activity that make it perfect for first aid applications. It is ideal to take along on camping trip or anytime you are traveling. For quick relief from mosquito or flea bites, and use it as sure fire cure for any nasty skin fungus infections too. Essential oils of tea tree, lavender and chamomile are often used in combination to treat a wide range of skin problems. These three essential oils contain natural antibacterial compounds to prevent and treat infection and reduce inflammation, yet are gentle enough for most skin types. Tea tree is generally safe to apply directly to facial skin to treat acne breakouts, but do an allergy test before applying to a wide area. For the occasional pimple, apply 1 drop of tea tree oil directly to acne spots. Tea tree is also an all purpose remedy for respiratory infections, acting as an anti-viral agent and stimulating the body's own immune system. Use a few drops in a warm, salt water gargle at the first sign of a scratchy throat and sniffles, and diffuse it in aroma lamps. A few drops of Tea tree oil on a clean wet toothbrush and applied to the gums with a cotton swab helps sensitive teeth and receding gums 1. 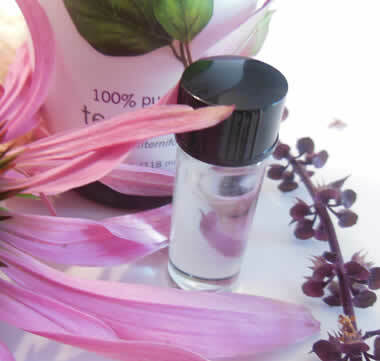 Preparation Methods & Dosage :Tea tree is generally safe to apply directly to skin, but do an allergy test first. If you find it irritating, dilute it before use. It is a fast and easy way to treat insect bites and any type of skin fungus. Apply a few drops neat, or use a clean compress to apply to the skin. Use a few drops in warm water as a gargle and add tea tree to the bathroom soap dispenser to kill germs. Combine tea tree with vinegar and baking soda for non-toxic household cleaning. The standard composition of tea tree oil is more than 30 percent terpinene and less than 15 percent cineole. This balance makes it much less irritating than oils such as eucalyptus, and small amounts can be applied neat to the skin. The aroma of the oil is warm, spicy, medicinal and volatile. It is occasionally used to scent spicy colognes and aftershaves. It blends well with lavandin, rosemary and nutmeg oils. Small tree; small soft, narrow leaves, and cream colored bottlebrush flowers. 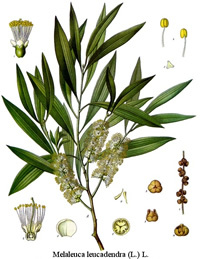 Tea tree essential oil is distilled from the feathery, narrow bright green leaves. Native to the New South Wales area of Australia. Niaouli, Melaleuca quinquenervia, is much like tea tree in its antiseptic properties, but with a much milder, fruity aroma. 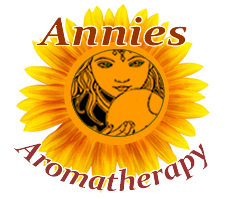 The oils powerful stimulating effects make it a great daytime, energizing blend when fighting off a cold. Niaouli is often mixed with juniper, lavender, lemon, lime, myrtle, rosemary, Scotch pine and sweet fennel to prepare many different mixtures for many different ailments. While Cajeput Melaleuca leucadendrosis the sister tree to Tea tree and Niaouli the important difference is that Cajeput is skin-irritant and as such less suitable for external use. Burmese mix cajeput oil with camphor for gout. Indochinese use the oil for arthritis and rheumatism, inhaling the oil for colds and rhinitis. Cambodians use the leaves for dropsy. Indonesians apply the oil externally for burns, cramps, colic, earache, headache, pain, skin disease, and toothache. The leaf of the tea, or ti, tree has a long history of use by the indigenous peoples of Australia. They treat skin infections, cuts and wounds by making a poultice of the leaves.